Whereas Olympus dominate the Four Thirds camera market, Panasonic have by far the most Micro Four Thirds cameras. Their G series of digital cameras combine a desirable form factor with extras like high definition video. Micro Four Thirds cameras, like their name suggests, are smaller versions of the original Four Thirds system. The pros and cons of the Micro Four Thirds format are well documented, but it still remains an attractive option for many photographers today. The Panasonic GH2 is not one of the smallest Micro Four Thirds cameras, but this multi-award winning camera is becoming one of the most respected. Sculpted in the shape of a mini DSLR, the GH2 sports a 16 megapixel sensor in a compact, mirrorless body. This is currently the largest pixel count found on a four thirds camera. It allows you to record Dolby stereo HD movies, in full manual mode, at 1080i (60fps),1080p (24fps), or a smooth 720p (60fps). Unlike some Panasonic Micro Four Thirds cameras, this one does come with a viewfinder, but it is a state of the art electronic viewfinder, as opposed to the optical version on traditional DSLRs. 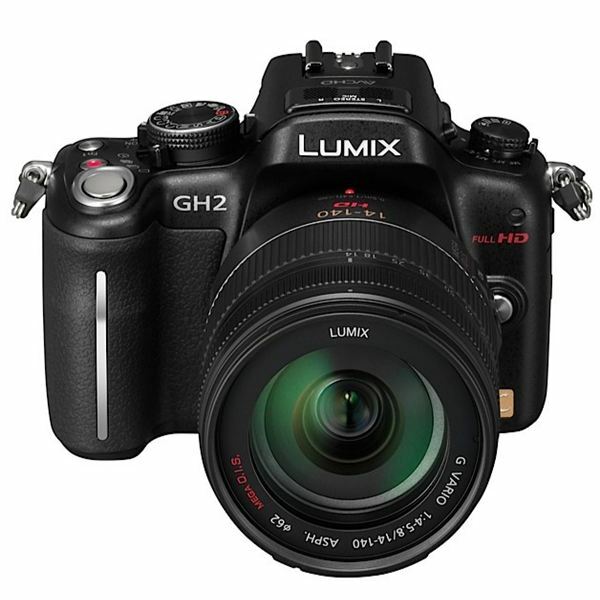 The GH2 has an articulating 3-inch touchscreen LCD, and allows you to take 3D images with the addition of the LUMIX G 12.5mm 3D adapter lens. 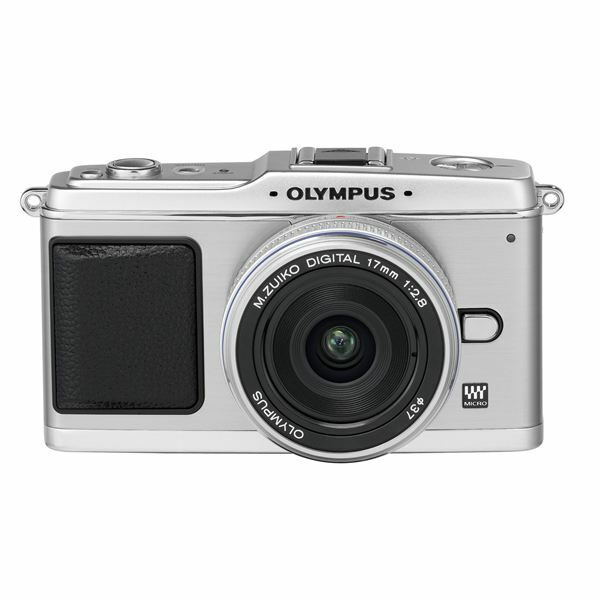 Rarely has a camera generated as much interest as the Olympus E-P1. It is the first Olympus Micro Four Thirds camera, but more are already planned to follow. The retro looks and svelte form factor of the E-P1 have made it one of the most wanted digital cameras available today. The 12.3 megapixel sensor again shows images exclusively on the live view LCD. It has built in dust reduction and face detection software. The now obligatory HD movie mode records 720p video, and there is an added audio recorder for use with still images or movies. The shadow adjustment tool and the art filters from the Olympus Four Thirds DSLR cameras find their way onto the E-P1, and a built-in farming function will help guide you towards framing the perfect image on the 3-inch LCD. 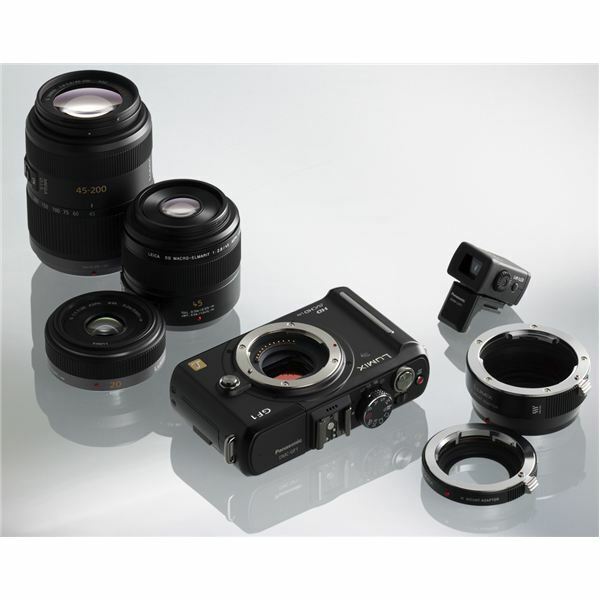 Accessories like a hot shoe flash are also available for the Olympus E-P1. The GF1 is another Panasonic Micro Four Thirds camera that is laden with awards for ingenuity and design. It is shaped like a point and shoot camera, but has the features and picture quality of a DSLR. The 12.1 MP sensor also shoots HD video at 720p, and the built-in flash gives it at least one feature that the E-P1 does not have. The live view LCD screen is the only way to frame your shots, unless you buy the additional electronic viewfinder accessory, but the screen is big and bright and will do well in almost all lighting situations. The Panasonic GF1 is really the only true competitor to the Olympus E-P1. Although it may lag behind in looks, the picture quality and feature set of the GF1 cannot be ignored. The early success of the Panasonic GH2, Olympus E-P1 and Panasonic GF1, coupled with the increasing number of Micro Four Thirds lenses, all but guarantee that the Micro Four Thirds format is here to stay. They combine the portability and style of a point and shoot, with the quality and features of a digital SLR. Hybrids they may be, but these three digital cameras represent the best Micro Four Thirds cameras available today. The history, advantages, and disadvantages of owning a camera from the Four Thirds or Micro Four Thirds system. The Four Thirds Compromise: Is it Worth it?